Home / Headphone / Noise Cancelling / Reviews / Wireless Headphones / Bose QuietComfort 35 (Series II) Review – Smart Headphone??? 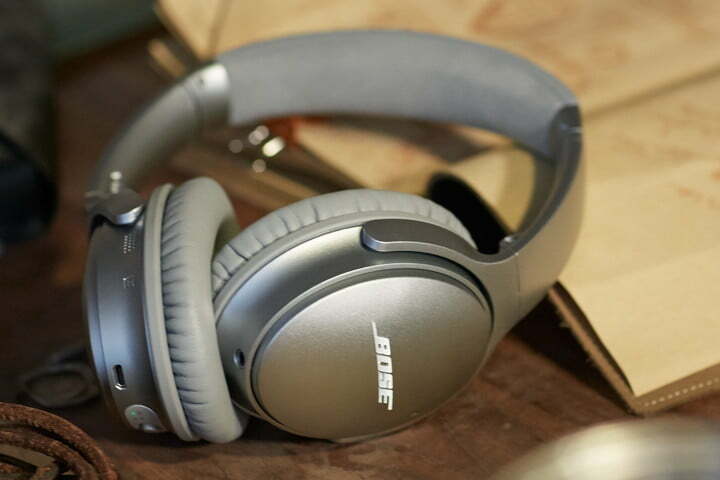 Bose QuietComfort 35 (Series II) Review – Smart Headphone??? Bose QuietComfort 35 (Series II) boasts its top-notch noise canceling capability, best at shutting out the world and isolating you in a bubble. It takes your concentration goes to the next level allowing you to have better focus. It also the most comfortable of the wireless ANC options. If you commute a lot, and especially if you fly long-haul frequently, Bose QC Series II will be your best friend. 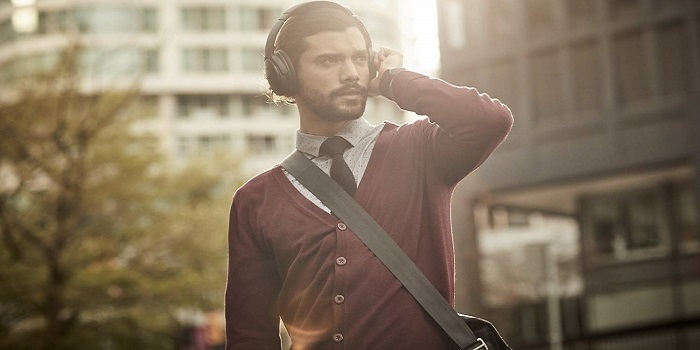 Bose QuietComfort 35 (Series II) is designed to be more streamlined to your head (not bulky or look geeky). It looks pretty much identical to the original only it uses metal caps on the back of the earcups and different control scheme (a dedicated button to switch between noise canceling modes). The circumaural earcups, which cover your ears completely, are cozy and block out a decent amount of noise on their own, and the headphones feel lightweight on the head. Thanks to the very soft padding on the ear cups, you can wear this headphone for hours without any fatigue. The earcups are easily adjustable to get the perfect fit, and once you find it, you'll never want to take the headphones off. For better durability, the plastic used for the ear cups is dense and should be able to handle a few drops without getting damaged while the headband is decently flexible and has a metal frame to reinforce the build which makes them a bit more durable. QC 35 (Series II) available in 3 colors (black, silver, and triple midnight). The QC 35 (Series II) hears what type of music you're playing and automatically optimizes the sound. The volume-optimized EQ gives you balanced audio performance at any volume, while the noise rejecting dual microphone provide clearer calls, even in noisy environments. The soundstage is wide and spacious. The bass is meaty but not overwhelming, the midrange is detailed, and the treble is crisp without getting all scratchy. This noise-canceling wireless headphone is Alexa-enabled, so you can enjoy entertainment, get information, and manage your day by giving a command through your voice — all without looking at your phone. Just say, Alexa, play ’90s pop, turn up the volume, or ask about the weather, even you can ask Alexa to lock the doors. • Excellent mic for call. • Soft earcups very comfortable to use. • Works in wired mode with included cord. • Zero background noise (no delay, no white noise). • Well-balanced clean sound with little to no distortion. • Cable has no inline remote. • Moderate leakage at high volumes. • Also include: carrying case, charging cable, audio cable for enjoying music without battery power. If you travel a lot on planes, trains, buses or if you need a very quiet atmosphere to concentrate then Bose QuietComfort 35 (Series II) excels at tuning out the outside world and very comfortable to use for long hours.